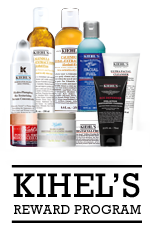 Kiehl's anti–aging solutions are formulated to help diminish signs of aging — from fine lines and wrinkles to sun spots and uneven skin texture. 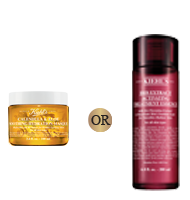 Benefit from insider tips, courtesy of our experts, and learn which powerful anti–aging routine is appropriate for you. 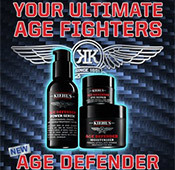 I'm seeking a powerful, yet safe targeted treatment to fill deep–set wrinkles and want to maximize the results of my current line–reducing regimen. I'm concerned about signs of my aging skin over time, including lines, wrinkles, and loss of elasticity, firmness, and density. 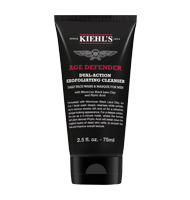 My skin is dehydrated and I'm seeking deep, all–day hydration with total anti–aging benefits. 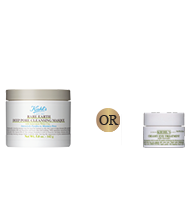 For your skin, Kiehl's recommends using Rosa Arctica twice daily to increase skin vitality. 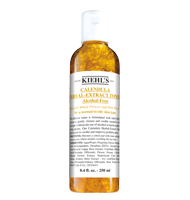 After cleansing the skin, apply Powerful-Strength Line-Reducing Concentrate, and then follow with Rosa Arctica. The eye area is especially prone to wrinkling because the skin here is thin, causing it to be the first location on the face to show visible signs of fatigue or aging. 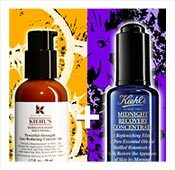 To nourish the delicate skin around the eyes we recommend our Super Multi-Corrective Eye Opening Serum. 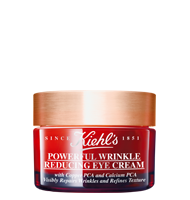 This rejuvenating eye cream visibly softens the look of lines while minimizing under–eye dark circles. I'm noticing the cumulative effects of past sun exposure from spending time outdoors without adequate sun protection. 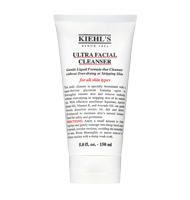 I want to reverse the signs of UV damage on my skin and create a more even–toned, uniform complexion while also reducing dark spots and fine lines. 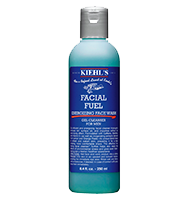 Usage tip: For best results, use 100% cotton to apply a toner, gently sweeping it across freshly cleansed skin. 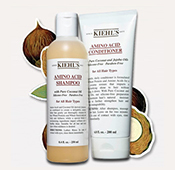 Kiehl's toners are highly concentrated, so it is not necessary to saturate the cotton —a little bit goes a long way. 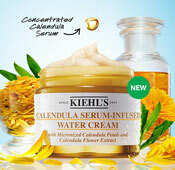 In the morning, I suggest layering the Powerful–Strength Line–Reducing Concentrate beneath your daily moisturizer. Also, if puffiness is someone's main concern then the Eye Alert (with Cucumber and Caffeine) or the Creamy Eye Treatment with Avocado (with Avocado Oil and Shea Butter) can be used as needed. It is never too early to start with daily sun protection. In your twenties and thirties, whether there are brown spots or not, I advise all of my patients to begin to use antioxidant–based serums, night creams and sunscreen to prevent brown spots and other early signs of photo aging. It is still key to stress sun protection, but other environmental factors increasingly come into play–stress, tobacco, pollution — and we need products that can help prevent DNA damage from the effects of free radicals within the skin. 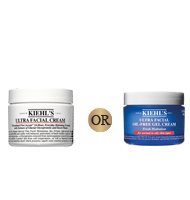 Good options include antioxidant rich moisturizers and cleansers, such as the Abyssine line from Kiehl's — a line that pairs antioxidants with Abyssine, a survival molecule that helps the skin to adapt to environmental damage. 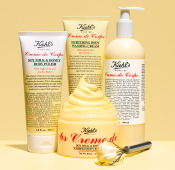 Photo–Age High–Potency Spot Treatment from the Kiehl's Dermatologist Solutions collection will also help to reduce and diminish sun spots after continual usage.